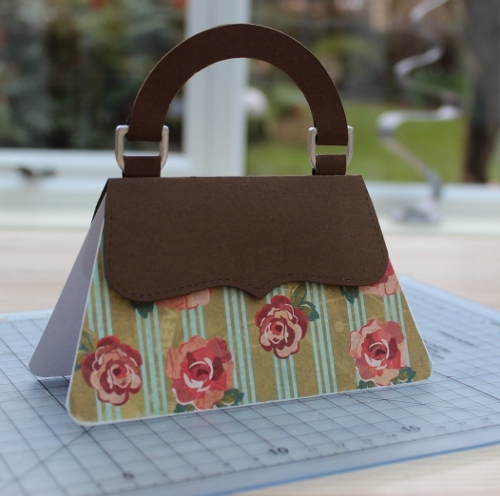 Way back in 2010 I made a card in the shape of a handbag, I don't have the card any more just a rather fuzzy photo of it back HERE on this blog. It wasn't a favourite make, and I'd completely forgotten all about it until I noticed from the blog stats it was getting a lot of hits via Pinterest. It's been pinned and repinned by folks all over the US. I've had several lovely emails too asking how I put the card together. So here's how I made it. 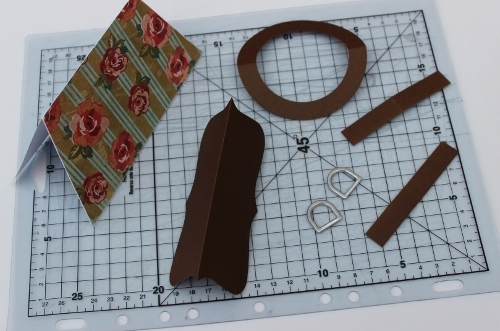 Fold the circle in half and cut through it at the centre back. Thread the D rings on to each side of the fold. 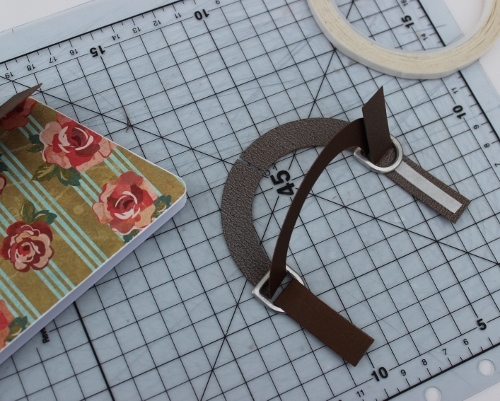 Fold the 2 cardstock strips in half and thread through each D ring securing with DS tape. Do the same with the folded circle. Then adhere the handle to the back of the bag flap. Isn't it great that the internet can connect you with crafters from all over world. Don't you just love Pinterest when something like this happens? Fab card Vicky... no wonder you've had lots of enquiries! I'm laughing because I just pinned your original picture! :) Such a cute idea! I sell so many "purses" that I can't wait to add this to my top sellers! Fabulous!! Many more pins and hits from this one too I should imagine! I have had the same thing happen with a wedding card I made that I almost put in the bin!! Wonderful and clever idea! Thank you for sharing the directions as well. I'm looking forward to making it! Thanks for the great idea! Love it. Thanks for the tutorial. I love this card and I loved the first one as well.